Get FREE tips and practice Compass Playbook Plays to stir your creativity and more rapidly reach your goals. Check your inbox for a confirmation email and we'll see you soon! You're invited to discover your inner creator and release the true power of your mind. Close the gap between what you want and your ability to realize it. Stop struggling and working so hard to achieve your most important desires. Compass Playbook gives you the platform to design the life you most want. Compass Playbook provides a playground that helps shift your focus to one that allows whatever you desire to come to you. Imagine experiencing the joy, freedom, health and wealth you've always wanted. What would your life be like? Anything is possible when you give yourself the tools and understanding to create from a place of inspired wonder. Do you own this miracle? If you do, you are creating a life you love. You are fulfilling on your dreams and living in joy every day. 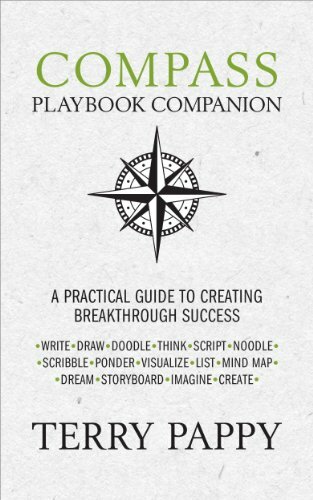 Compass Playbook helps you connect with your inner creative genius. It enables you to step into your power and create from your ideas of how life could be. Compass Playbook courses, workshops and coaching deepen this connection and inspire you to express your full creative genius. They also help you focus on the most important areas in life for just about all of us: relationships, finances, wellness and work. Compass Playbook is a smart framework that guides you to design and live the life you most want. Janel Stewart says, "Compass Playbook is like guided meditation for journaling. Much like when I try to meditate, journaling on my own can often lead to nothing but shopping lists. It was not until I started using Compass Playbook, that I was able to focus and have fun while working on writing or creating something new. "I use Compass when I feel stuck on a specific area of work or personal development. I have also used it as my grown up version of a coloring activity book. I mean sitting and waiting for your car to be repaired would be an awesome time to just color but that may garner some odd looks—Compass Playbook provided me an acceptable outlet! 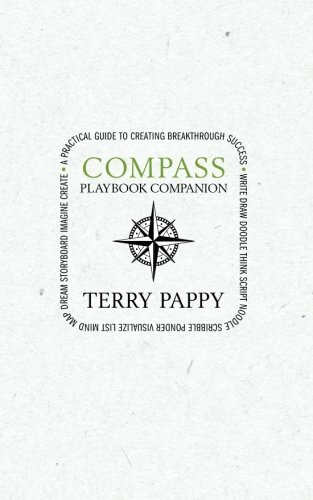 I highly recommend Compass Playbook!" A lifetime of conditioning from family upbringing to media hype has contributed to your personal story. This story either supports success in achieving what you want or it doesn't. You live it every day from troubled relationships to financial pressures to not being thrilled with your body. You were not designed to live a life of struggle or limitation. The good news is you can change it! Compass Playbook helps you craft a story that supports what you want. No longer will you be unsure or feel like a victim in life. Be a deliberate creator and make your story an amazing expression of a life filled with joy and possibility. Robert Urban says, "Terry offers some great exercises (plays) and coaching tips that help us more linear minded individuals become more attuned to our creative side. While they were all good, my two favorites plays were 'Day in the life' and 'Globe Trekker.' An easy to follow, but incredibly valuable tool for the seasoned executive or someone just getting into the game to help them to help them look at things from a different, more creative angle." Only you can dream your dream. Your life journey has stimulated new desires within you and they are always evolving, shifting and improving. The ingredients you've put into your dream are highly unique, and each ingredient has significant meaning and preciousness to only you. Compass Playbook helps you thoroughly and more enjoyably identify the intricacies of what you desire. It helps you add texture and definition, and expand the details of the outcomes you envision. With Compass Playbook, you'll feel more joy fleshing out your dream's details and thrill in the experience of moving toward it until it is a reality you can fully enjoy. That gut feeling that has guided you throughout your entire life—or has been a nagging voice you resist—is your key to supercharging what you want most. Compass Playbook magnifies that guidance and uses it to fuel your deepest desires. You'll gain greater clarity, ownership and cause in what you want to achieve. Compass Playbook is about having fun while experiencing your deepest self and discovering what your heart really wants. It offers enjoyable, creative problem-solving tools that empower you to be in full control and feel renewed excitement about what's next. Every outcome is driven by you. 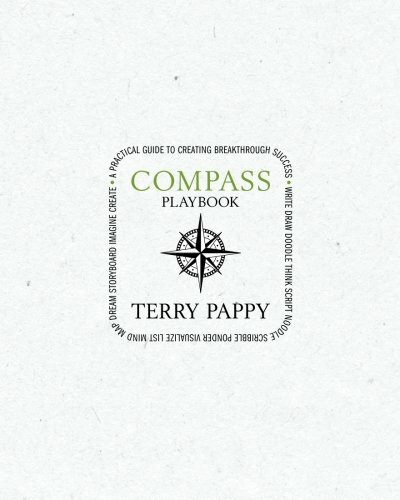 Drew Westveer says, "If you don't already have a copy of Terry's Compass Playbook, run out and get one now! With compassion, integrity and creativity, Terry will guide you to clarity about who you are and what you should be doing with your life. And with characteristic humor, she made the journey a lot of fun!"